If you’re looking for a military moving company in the Upper Peninsula, then look no further than Guindon Moving & Storage. Guindon Moving & Storage is the perfect choice to make your moving experience as smooth and stress-free as possible, because of our commitment to efficiency and customer service. For over 80 years, we have been a trusted moving company for military. We are fully licensed and insured and ready to provide quality, expert services to ensure a safe move for you and your family. Customer satisfaction is our goal, so choose Guindon Moving & Storage to help with your military move. The men and women of our Armed Forces live life on the move and Guindon Moving & Storage is your go-to military moving company for any move to or from the UP. 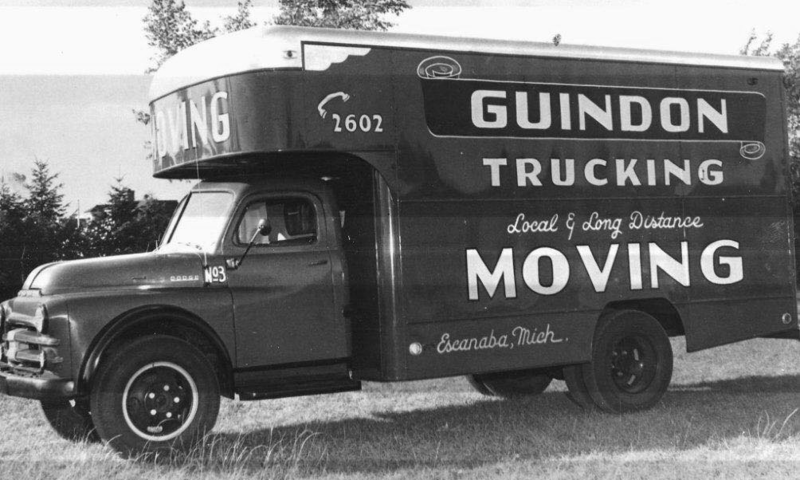 Because of our decades of experience in the military moving and storage business, Guindon Moving & Storage has become a name the residents of the Upper Peninsula and surrounding area can trust. We admire the sacrifices made by those in the Armed Forces, and would love give back in any way we can. As a professional military moving company in the Upper Peninsula, we’ve developed a way to do just that. A life in the military can be a transient one, and picking the right moving company to make your transition as effortless as possible is paramount. Our staff of expert military movers will work with you to ensure everything is packed, loaded and unloaded up to your standards. And if you require short or long-term storage, you’ll be happy to hear about our warehouse storage solutions. Our warehouse is organized, monitored and climate-controlled, so you can rest assured your belongings are taken care of properly. To best facilitate your military move, you will receive personalized moving services from one of our military moving specialists. Ensuring our customers receive the gold standard when it comes to care and customer service sets the baseline for communication, which is the key element to maintaining a high level of attention to detail. Our moving staff approaches each move as if it were their own, getting you and your family to your new home quickly and safely, while assuring your belongings arrive undamaged. Being located in an area as unique as the Upper Peninsula, we know how important it is that the members of our communities support each other in every way. This is especially true when it comes to providing services to those who valiantly serve our nation in the U.S. Military. We offer full-service moving services and personalized moving plans for military members, guaranteed to make your relocation as smooth as possible. Whether you’re currently living in Escanaba, Neguanee, Marquette or anywhere else in the Upper Peninsula, our highly experienced staff are here to assist you with any questions or concerns about your military move you have along the way. With more than 80 years of moving experience we are a preferred military mover for the UP, we know that your job can take you all over the country with very little notice, which is why we are dedicated to going above and beyond the customer’s expectations to ensure the best moving experience possible. When it comes to armed forces moves in the Upper Peninsula there aren’t very many moving companies with the knowledge and expertise to get the job done right. Guindon Moving & Storage will get you settled in for your new assignment quickly and smoothly, while providing you and your family with a stress-free moving experience. To see how Guindon can help with your military move, fill out our online form to receive a free, no-obligation quote.